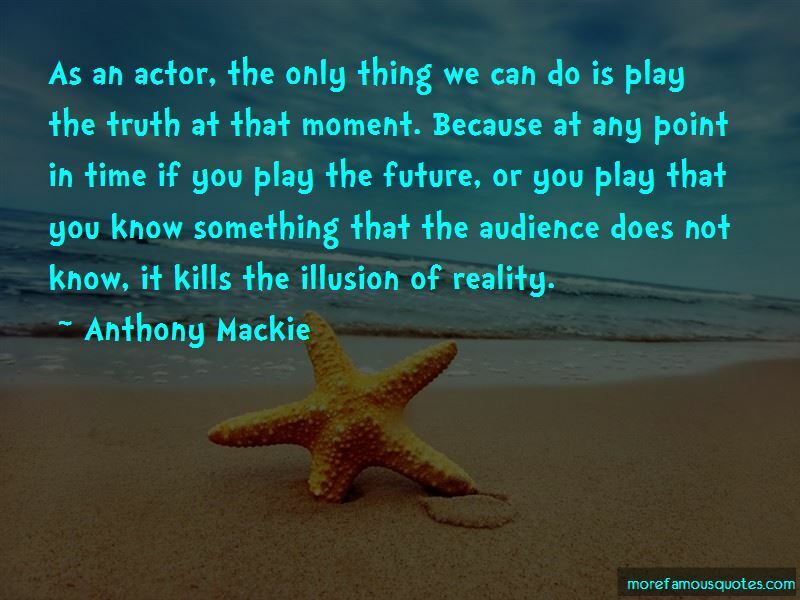 Enjoy the top 57 famous quotes, sayings and quotations by Anthony Mackie. There was this rapper from New Orleans, Mystikal, who when I hear his music, I hear myself. Whenever I wanna get hyped, I put on Mystikal. Hollywood's a business, and until someone puts their finger on you and decides you're the guy who's going to carry that movie, it's not going to happen. I'm definitely not a muscle builder or a guy that's interested in being a muscle builder. It feels good to get back down to a normal size. Not like a hipster size or a buff-guy size, but just a normal, 34-waist guy. I'm not Martin Luther King. I can't be Martin Luther King. The only thing I can do is present what I feel the essence of Martin Luther King is. I'm happy to be an Avenger! It's because the idea of what's cool is different. When you talk to a girl who goes to regular school, what's cool is whether or not you've been to jail, or if you have a car. If you talk to a girl who goes to art school, what's cool to her is if you do art projects on the weekend with your dad, if you can build something - out-of-the-norm stuff. People fight for their regulars. It gets dirty sometimes. I love what I do. If I have the opportunity to do what I do with people I admire, it's 10 times better. 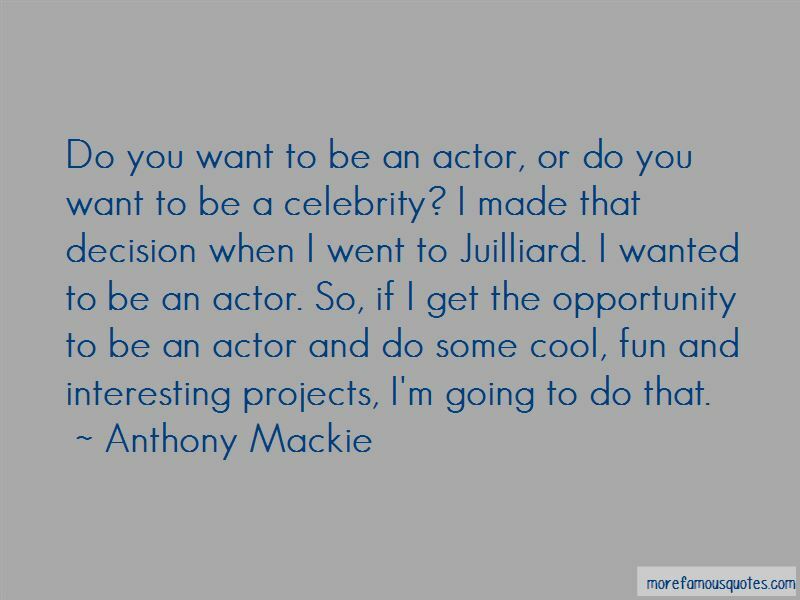 Want to see more pictures of Anthony Mackie quotes? 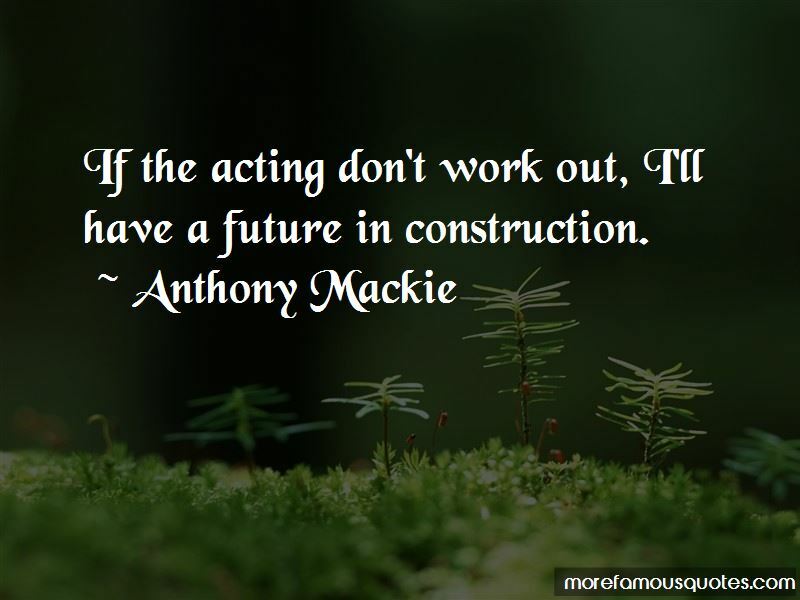 Click on image of Anthony Mackie quotes to view full size.